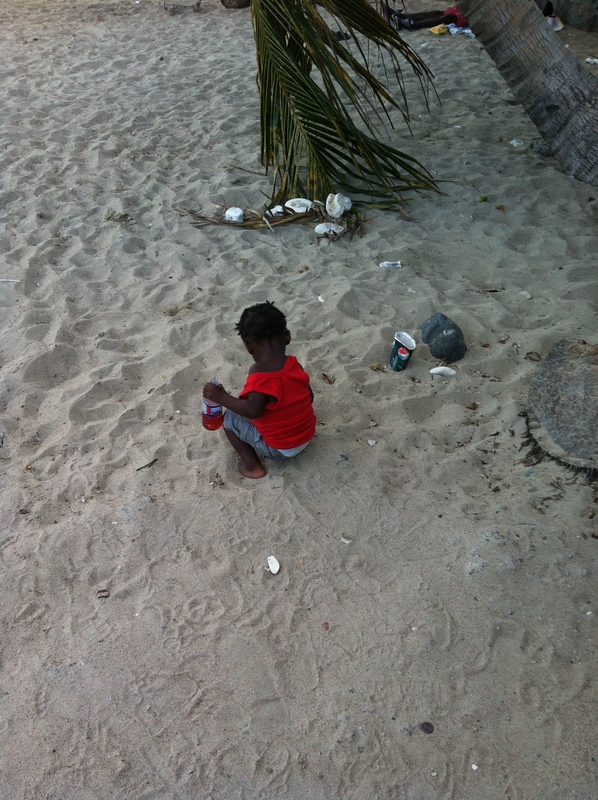 This little guy was playing on a beach in St. Thomas. He spotted my sister and I and this apparently prompted him to fill a bottle with sand, walk over to us and dump the sand on my feet. Then he dumped his juice on my feet. He couldn’t understand why we were laughing. It was a perfectly logical action to him, of course.